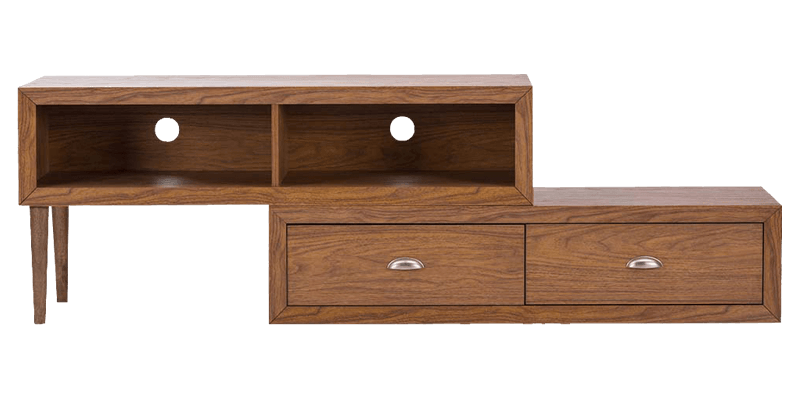 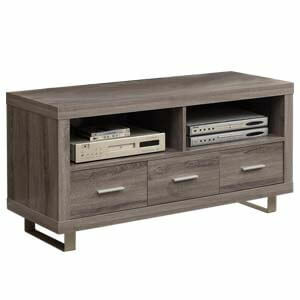 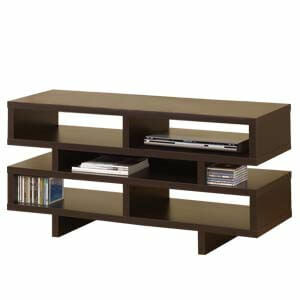 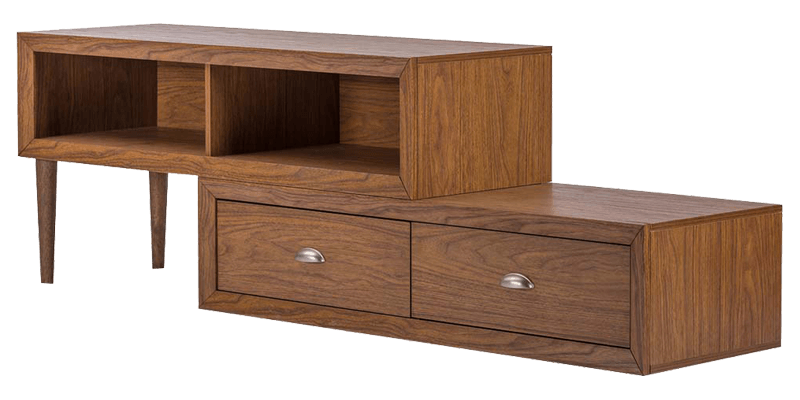 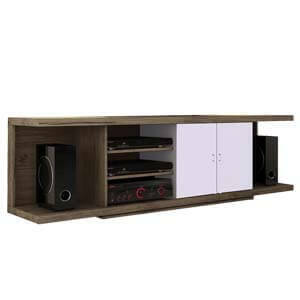 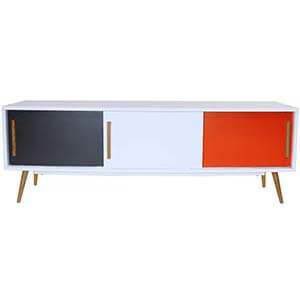 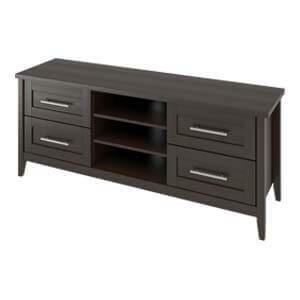 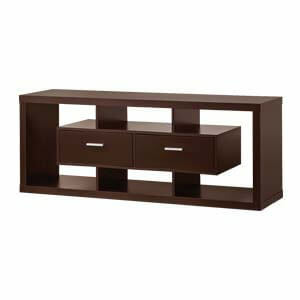 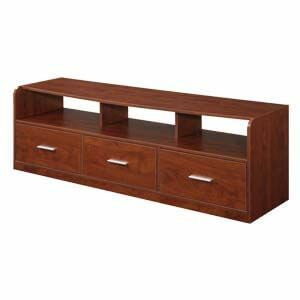 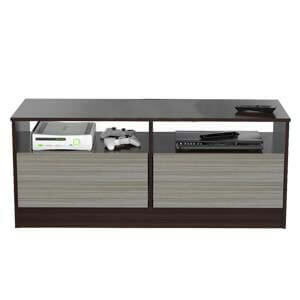 Contemporary styled this brown entertainment unit is one of a kind. 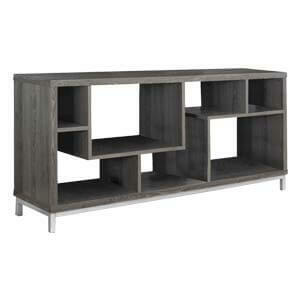 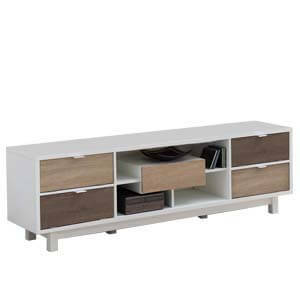 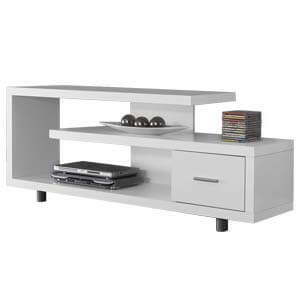 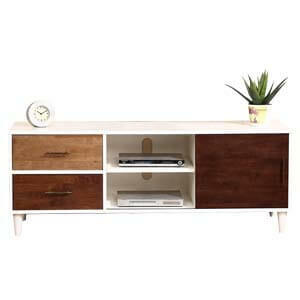 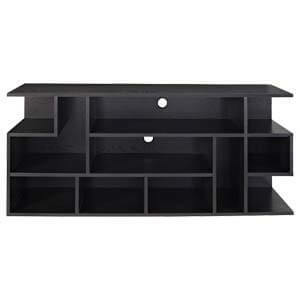 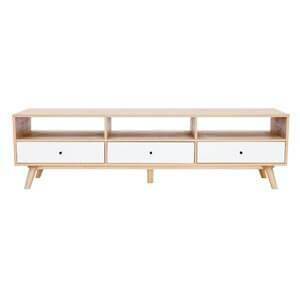 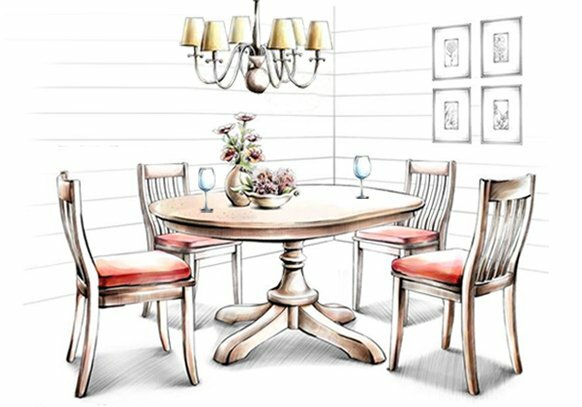 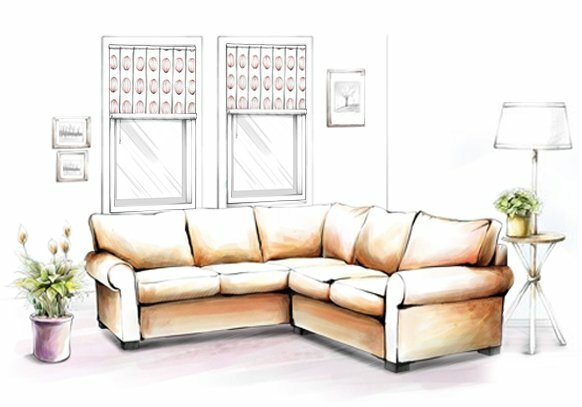 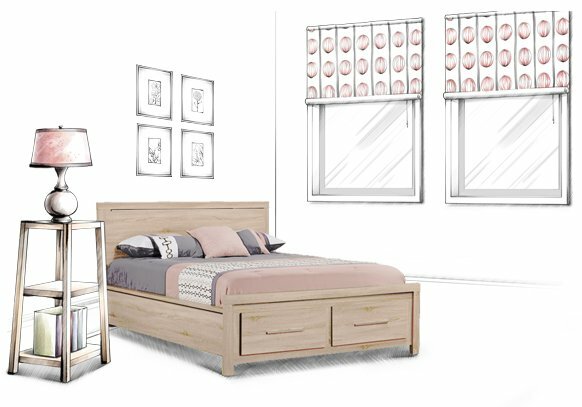 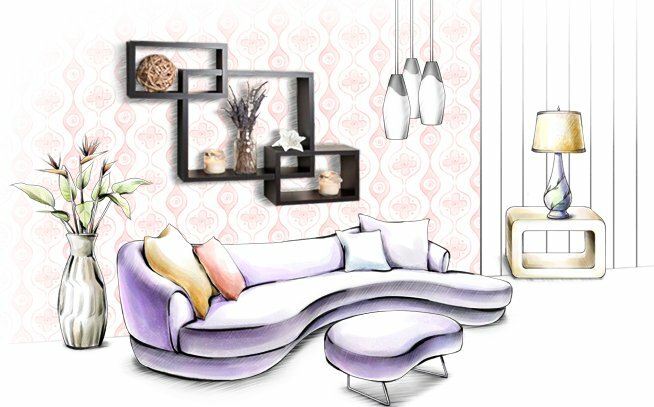 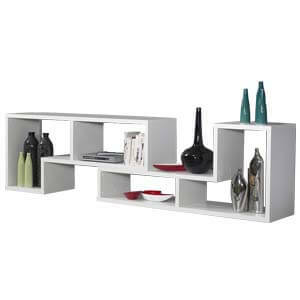 Featuring a single open shelf that has support on rounded tapering legs. 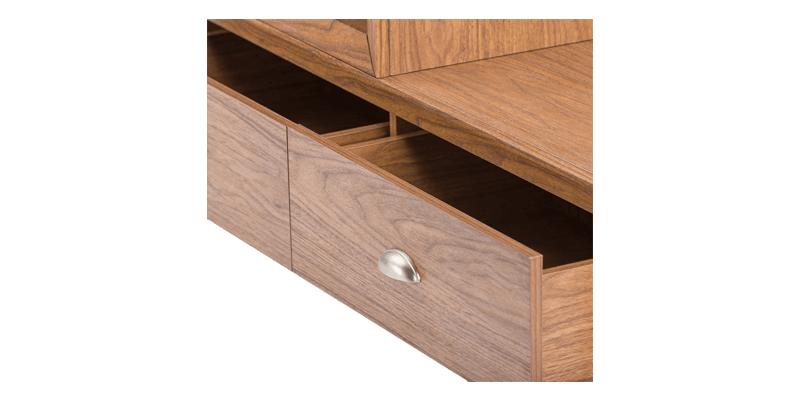 It’s also got retractable closed drawers having metal pulls. 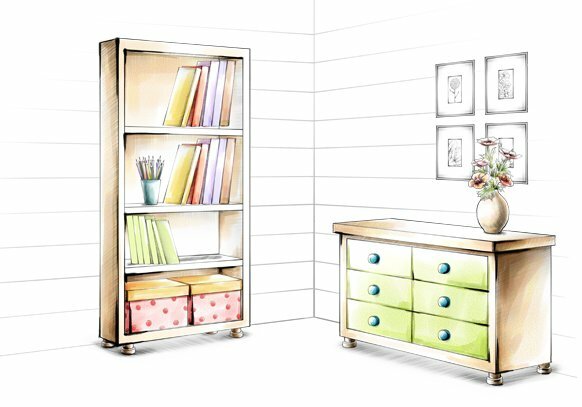 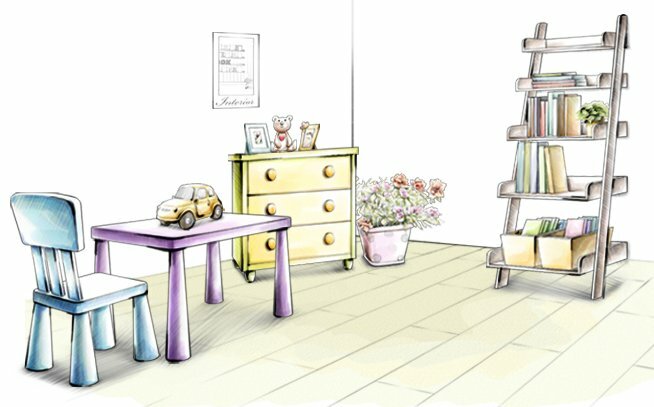 Being handmade, this compact unit is undoubtedly a guest attraction.